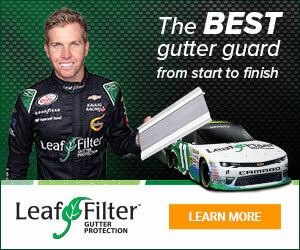 LeafFilter North - Hard sell on estimate. Manager was condescending. Sep 05, 2016 Hi there - We are sorry that you were dissatisfied with your sales experience. If you would like to discuss your unique situation further, please feel free to reach out to our dedicated service and support team at 800-749-4566. We saw them at a home show and made an appt for a “free, no obligation estimate”. I wanted to see how much this would cost since they needed to come out to the house. We are new homeowners and I had no idea as to price. They made an appt for a Saturday Morning and the salesperson, George, was very nice and respectful. He brought the price down from $3500 to $2800 and wanted us to finance this at $46 a month for 6 years at 12% interest. Also to get this price we had to sign a contract that day. We told him that the product sounded great but we could not afford it at this time. He then got his boss on the phone and the boss was very rude and condescending to us. Trying to shame us into signing a contract saying “Why did you have us come out if you can’t afford it?” and “you can’t afford $46 a month?” I said I’m not going to sign up for a 6 year commitment for this. It’s not that important to me. The whole hard sell thing put us both off and we probably wouldn’t have gotten even if we could pay in full just because of the attitude of the manager. Product or Service Mentioned: Leaffilter North Estimate. Review #484636 is a subjective opinion of User484636.